Having a background in Property Management and doing hundreds of move out inspections, we know what the “real level” clean should be. We offer cleaning services that are CONSISTENTLY good, not just the first few times. We pride ourselves in the quality we provide to our clients and the staff is well trained and constantly reviewed. We work hard to ensure we never need to reschedule. Unlike individual cleaners, with multiple staff we can cover those cleans so you don’t need to be inconvenienced. We offer affordable rates, so that EVERYONE has an opportunity to enjoy a clean home with out breaking the budget. Unlike franchise companies, we have little overhead, and can offer local friendly inexpensive service. E-mail or Call us today for a free evaluation. 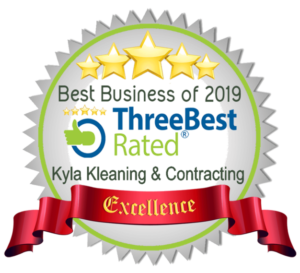 With KYLA KLEANING we work hard to ensure you are 100% happy with our services EVERY time. 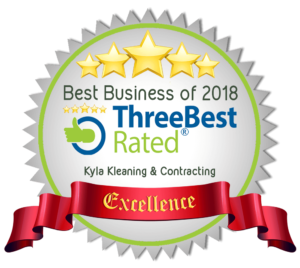 If for ANY reason you feel we did not EXCEED your expectations we will be happy to come back at your earliest convenience and re-clean for you. This business was built on referrals from clients like you and we want to continue to build our business this way.